Looking for hard-hitting analysis on the growing crisis? Searching for a revolutionary anarchist, anti-fascist, and autonomous anti-capitalist alternative to the far-Right and the neo-liberal center? Looking to learn more about grassroots revolt and social movements across North America? 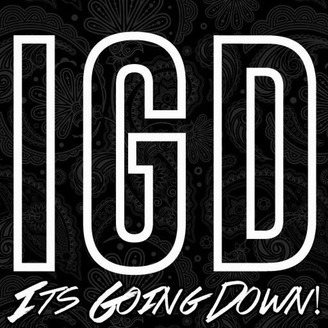 Every week, It’s Going Down produces both the IGDCAST, featuring interviews and discussions, and an audio analysis and roundup of resistance and headline news, all from an anarchist perspective, on This Is America. If you want to come on the show, please contact us. 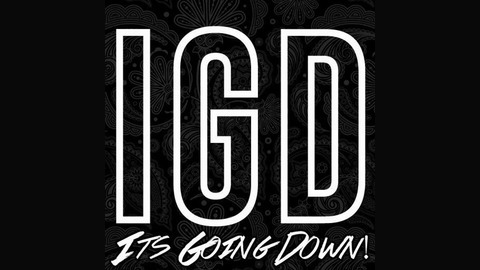 The IGDCAST is also proudly part of the Channel Zero Anarchist Podcast Network. Subscribe and rate us on iTunes here. We’re also on Stitcher, Spotify, Podbean, Podtail, Listen Notes, and BluBrry! The post This Is America #69: #FreeMasonique & #TheArizona3 appeared first on It's Going Down. Welcome, to This Is America, April 19th, 2019. In this episode, we present two interviews, one with someone involved in the #FreeMasonique campaign, which is fighting in Columbus, Ohio to get murder charges dropped against Masonique Saunders, who after police shot and killed her boyfriend, was incredibly charged, with his death. Join our national call to #FreeMasonique! Thursday 4/18 8PM ET/5PM PT. We'll go over the campaign, how to support from afar, and answer questions. We then talk to two people involved in the #Arizona3 case, which centers around three University of Arizona students who are facing charges simply for protesting the border patrol on their campus. All this and more, but first, let’s get to the news. In New Mexico, members of the far-Right border militia United Constitutional Patriots claim that they have apprehended and stopped upwards of 3,500 asylum seekers at the border, holding them at gun point, and then turning them over to Border Patrol. The leader of the militia claims that the stops are nothing more than “a verbal citizen’s arrest,” however videos show militia members running down women and children, who have just crossed many miles and are attempting to apply for asylum status, and corraling them with high powered weapons. Last night, far right vigilantes near El Paso chased down and detained immigrants until border patrol agents arrived to collect them. These are civilian extremists collaborating with federal agents. Emerging in 1924, the Border Patrol was an attempt by organized Nativist and white supremacist forces to police Mexican migrants on the border who worked heavily in US industry and agriculture. Historians have noted the high crossover between the early Border Patrol and formations of the Ku-Klux-Klan, its culture of brutality and harassment, and the ongoing legacy of violence. Shane Bauer, a journalist for Mother Jones, who infiltrated a border militia several years ago, also noted the degree in which Border Patrol and far-Right groups coordinate with each other. Posting on Twitter, the account @leftkist has posted several videos from livestreams of the border militia as it detained migrants and forced them to wait for the border patrol to pick them up. In one video, a militia member hears a dog bark and says, “Those are border patrol dogs. Those dogs are hungry.” Gavin Clarkson, a former Trump appointee, was also recorded along side several highly armed militia members wearing masks. Members of the militia group state that they have more contacts within the Trump administration. After assisting the border patrol agents in detaining a group of migrants, a right wing vigilante hangs around to film and harass the migrants. Meanwhile in New York, people held a march and rally in memory of the multiple young African-American men who have been found dead in the last few years under suspicious circumstances; all of them having been involved in the Ferguson Uprising. Last night in New Haven, Connecticut, people took to the streets for the third night in a row in the wake of the police shooting of Stephanie Washington, who was sitting in her car, unarmed, with her boyfriend at the time when police unleashed a barrage of bullets at their vehicle, hitting Washington in the face, although she luckily survived. Police claim they were responding to a robbery call, and released nearby video contradicts their initial statements about the shooting and shows police coming out of their car and opening fire. On Wednesday, protesters stormed the Hamden Police Department demanding [the officer who shot Stephanie] be fired and for officials to release bodycam video of the shooting. Other protests broke out Wednesday at the scene of the shooting in New Haven and outside the home of Yale President Peter Salovey. At the Dekalb County Jail outside of Atlanta, Georgia, which It’s Going Down reported on last week, actions continued against horrific conditions. One group of prisoners placed up a sign that simply read: “MOLD” in their window. Members of the Teardown Community along with other groups handed out free food outside of the jail and collected stories, while a speak out event was organized this evening. Upwards of 500 teens and young adults converged in Downtown Chicago as part of a flash mob. Police made upwards of 30 arrests. News outlets report that this is just the latest in a series of such “lawless” gatherings. Last week we put up 40 Jeffrey Perrine posters in Orangevale and last night we put up another 30 in his neighborhood and his area of the town as well. We plan on heading out to Orangevale regularly to put these posters up in Jeffreys neighborhood and all over that town. Meanwhile in Long Beach, California, tenants have launched a rent strike in the face of an eviction. Finally, in Seattle students and faculty organized a walkout against cuts to community colleges. April 19th-21st: In Prescott, Arizona there is a three-day antifascist gathering called the Cliffrose Convergence at the Frantz Fanon Community Strategy Center being organized. April 21st: Rally in Chicago against expansion of child detention complex. More info here. April 27th: March against anti-immigrant rally in Huntington Beach. More info here. April 28th: #AllOut to mobilize against white nationalist “Patriot” militia holding a rally in Long Beach. More info here. On May 1st there are May Day actions happening around the world, be sure to watch IGD next week for info on upcoming May Day events. May 4th: All Out Against Pegida. Toronto, Saturday, 1pm. More info here. May 18th: Mobilize against American Renaissance conference. More info here. Sunday, May 25th: Mobilize against the KKK in Downtown Dayton, OH. More info here. May 18th – 19th: Come out to the Revolutionary Organizing Against Racism Conference (ROAR) in the bay area. More info here. In June be on the lookout for ‘Running Down the Walls’ events happening across the world to benefit Anarchist Black Cross (ABC) chapters. June 14th-17th: Fight Toxic Prisons conference. Gainesville, Florida. More info here. June 19th: Mobilize against Nationalist Solutions conference. More info here. August 3rd-11th: Institute for Advanced Trouble Making in Worcester, MA. More info here. August 16th-18th: Indigenous Anarchist Convergence in so-called Flagstaff, Arizona. More info here.